One of the things I love to do when I get an odd moment of peace and quiet is reading. Last year I went through a stage of reading a book a day, I became quite a night owl. The trouble that I have now found, is that I can't remember all of the books that I have read which makes it difficult when trying to find new books to read. In order to remember what I am reading I thought I would post about it here, nice way to keep a record. Every Monday I will start a new linky, I'll tell you some of my favourite books that I've been reading that week and I'll share a book review too. This will be open all week. 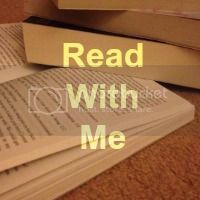 I would love it if you can link up too, new and old posts of anything book/reading related will of course be welcome, this can be adult or child. A review of a book you've been sent, something that you are currently reading or perhaps a book that you have previously read and would like to recommend to others. Maybe a book that you are thinking about reading and would like other peoples opinions on or even a book that you would recommend to read with your children or that they can read themselves. Whatever you decide I hope that you will join in and read with me. Oooh I like this idea, I have a book to review (I use Goodreads to keep a list of what I'm reading - are you not on there? it's great) also I recently blogged my ten desert island reads. Some books just grab you. I shall link up as soon as I have blogged about the latesd book I finished. A gorgeous idea - you can never have too many good book recommendations!!! Just discovered this, great idea :) I've been thinking I need to start keeping a record of what I'm reading, I might have to check out Goodreads too! Hi, Chanelle, Where is the latest Read With Me linky? Thanks! I would love to join your book linky. Thanks. I will be back to check out your linky, as I love book recommendations and reading book reviews too.